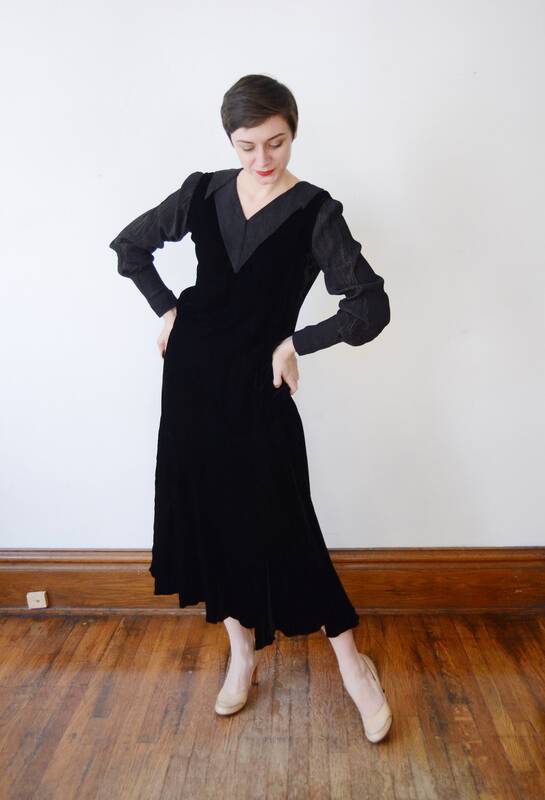 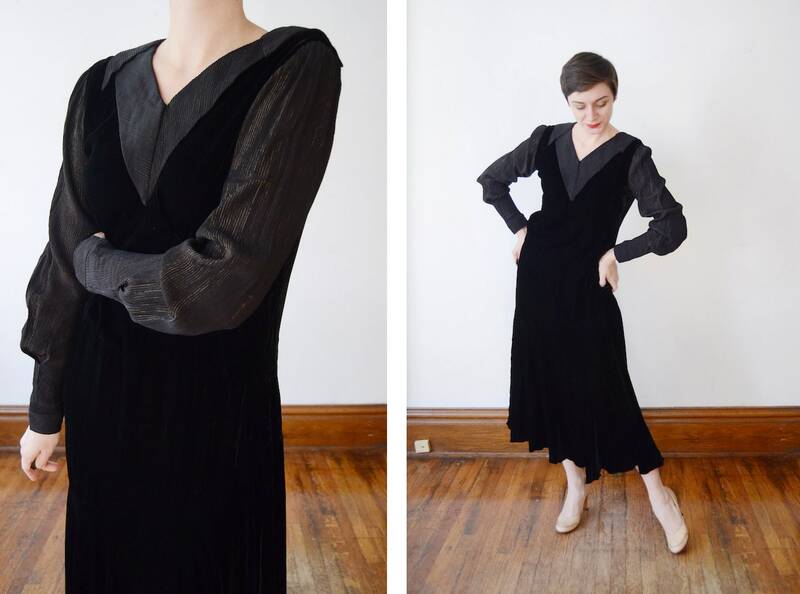 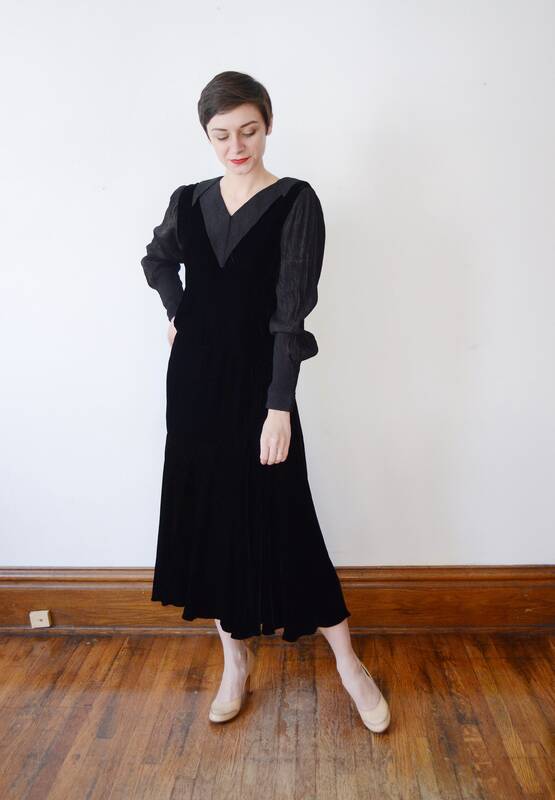 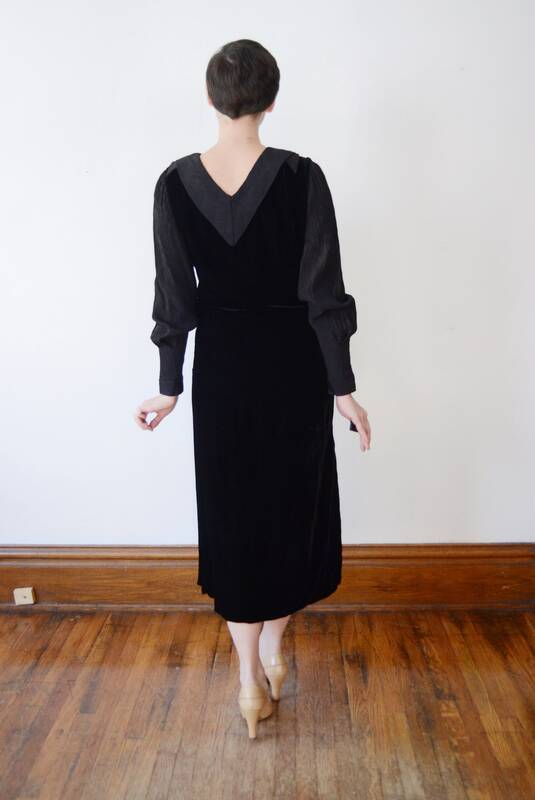 Description: This is a stunning piece that looks to have been refashioned in the 30s from a black velvet 20s or early 30s dress. 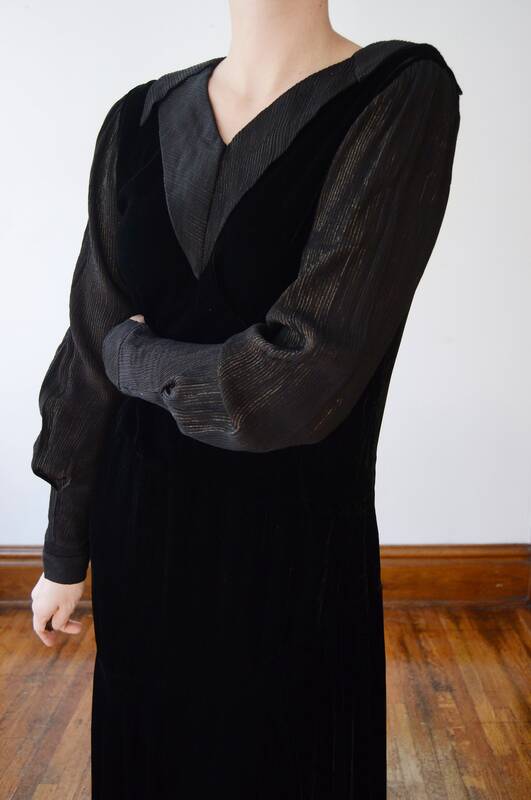 Lightweight rayon velvet with metallic pin stripe accent sleeves and collar. 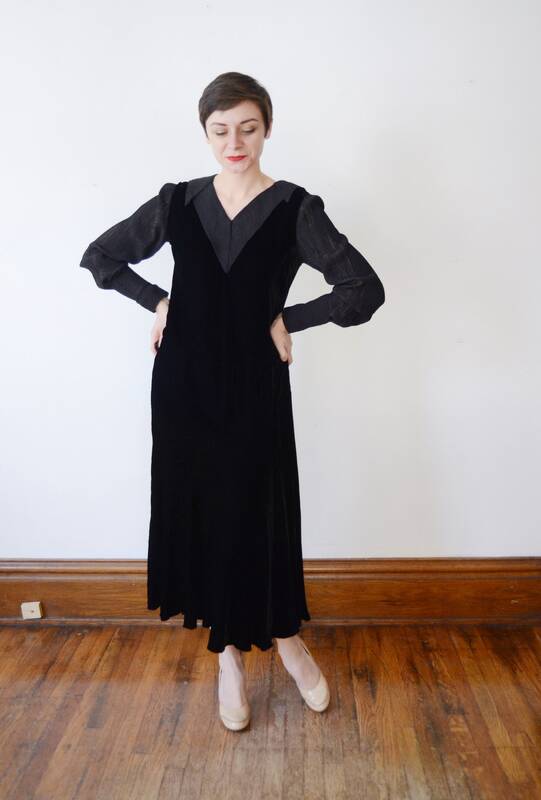 This garment has no closures so needs to fit over the head.